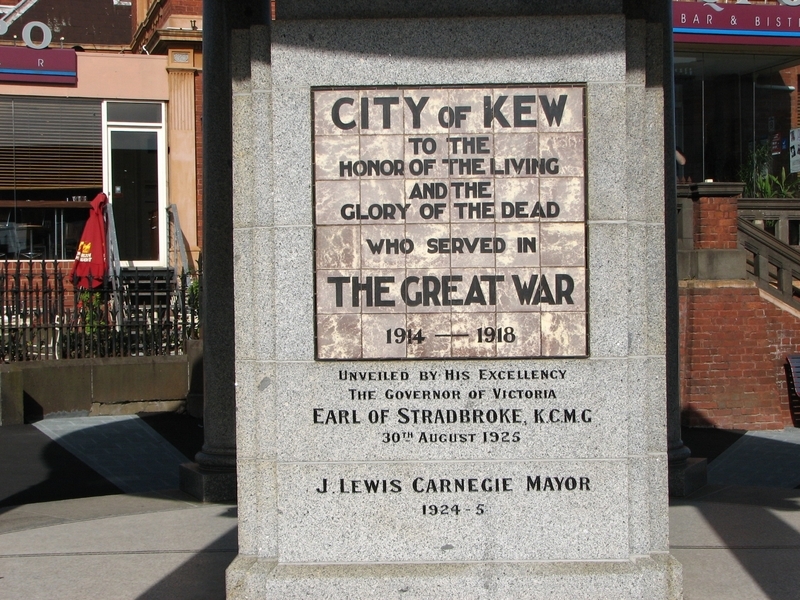 The Kew War Memorial is a circular temple supported on ionic columns constructed of granite and marble and is approximately eight metres in height. Its design takes full advantage of the site, allowing a clear view of all faces of the memorial. 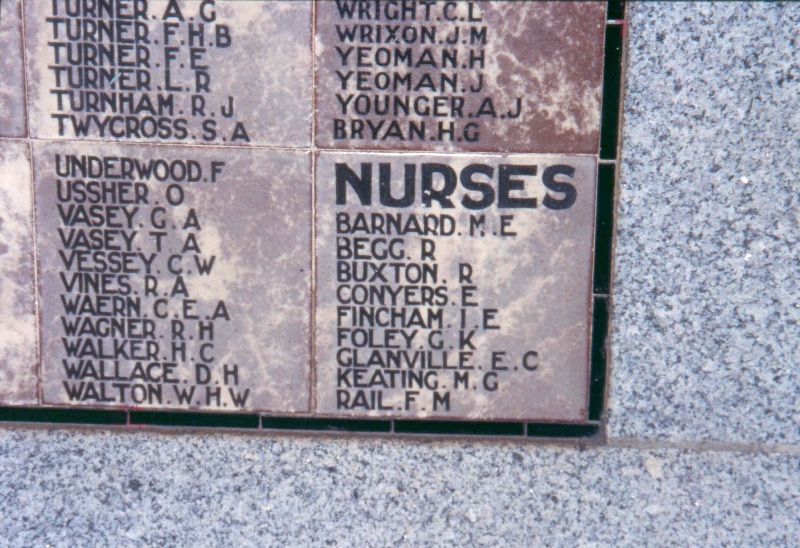 The frieze displays the names of the theatres of war in which the soldiers fought. These were the North Sea, Egypt, Belgium, Gallipoli, France, Palestine, Mesopotamia, and Salonica. 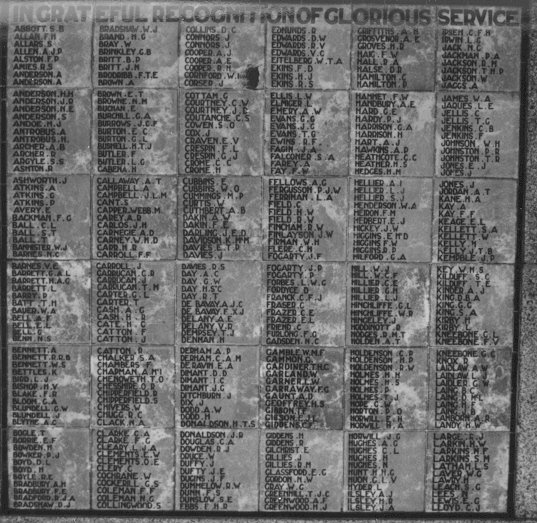 with a list of servicemen. There have been no alterations or changes to the original facades. The land on which the War Memorial stands consists of two sections. 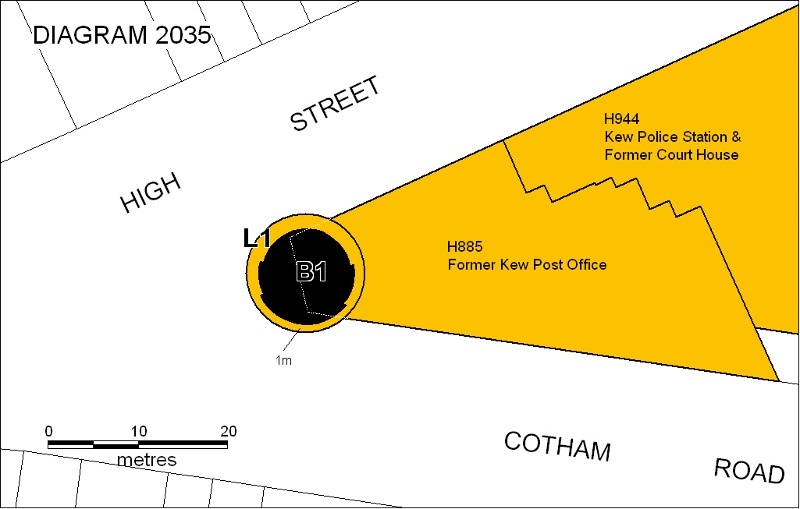 One section is the land in front of the Kew Post Office. This was transferred to the Commonwealth of Australia in 1901 as part of the land on which the Post Office was built. The other section appears to have been the land on which the Queen Victoria Jubilee Drinking Fountain was constructed in 1887. 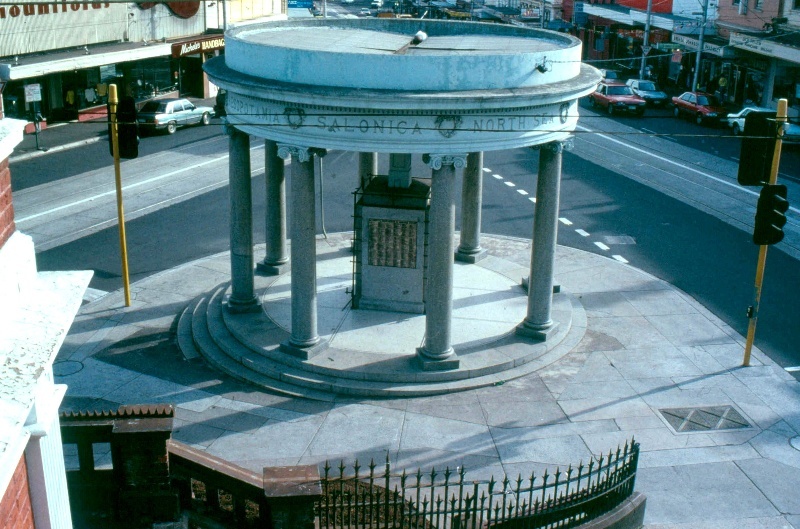 When this was removed to the Alexandra Gardens in 1924, the War Memorial was built on the two pieces of land. 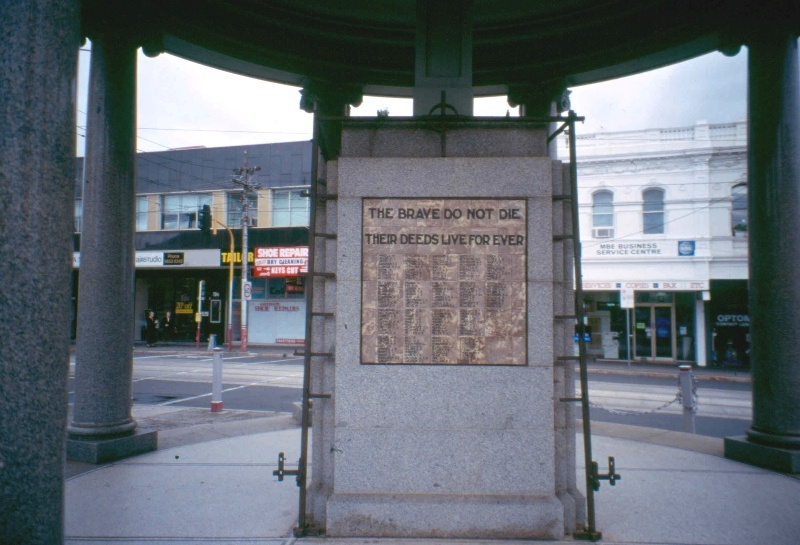 Thus for many years the eastern part of the War Memorial was on Commonwealth owned land leased to the Kew Council and later sold to a private owner. 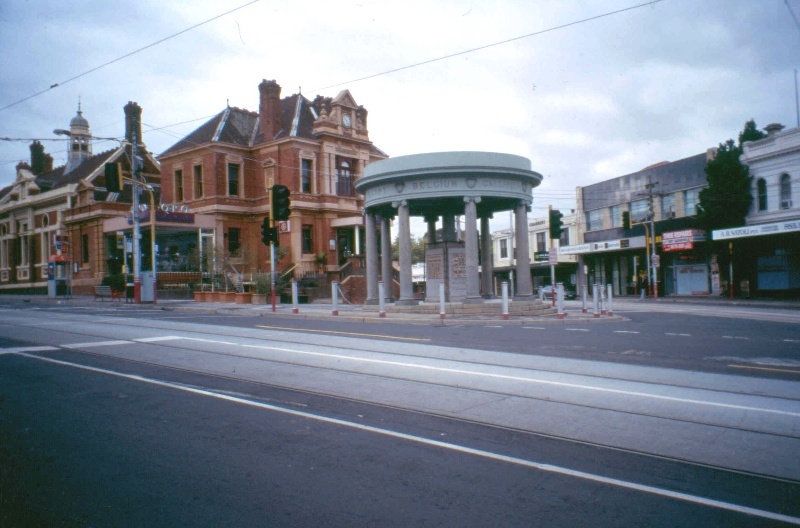 The rest of the War Memorial was on the western portion of land which is owned by VicRoads on behalf of the State Government. 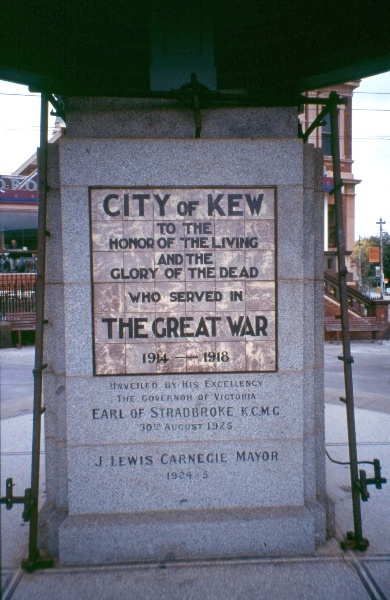 The Kew War Memorial, on High Street and Cotham Road, was erected to commemorate the First World War. 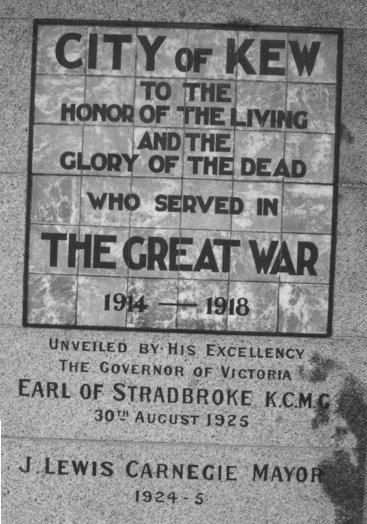 The War Memorial was unveiled by His Excellency the Governor of Victoria, Lord Stradbroke, before a very large gathering of citizens on August 30th 1925. A guard of honour was formed from the 39th Battalion and the First Kew Scouts. 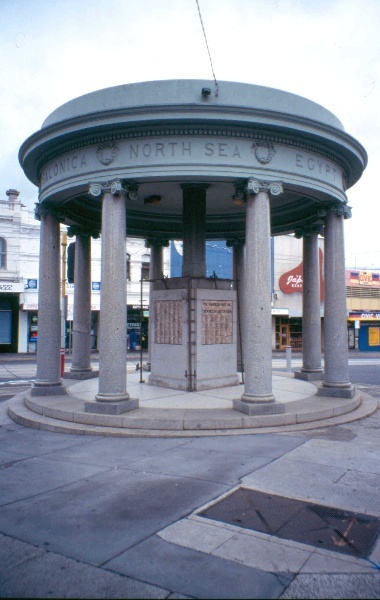 The Memorial is a particularly fine example of a classical style war memorial. Built in granite and marble as a circular temple supported on ionic columns, its design takes advantage of the site, allowing a clear view of all faces of the memorial. 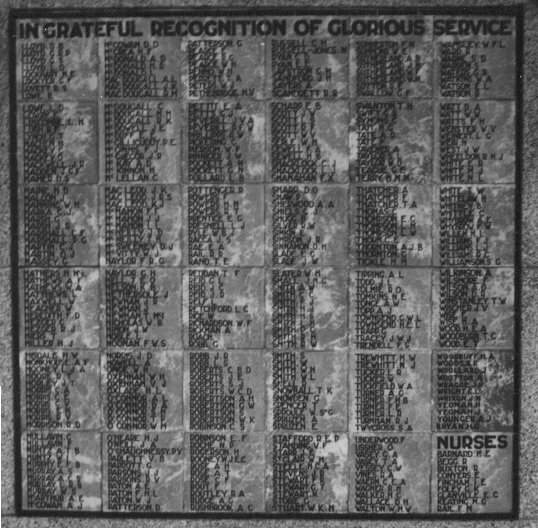 The frieze commemorates the theatres of war in which Kew residents served; the North Sea, Egypt, Belgium, Gallipoli, France, Palestine, Mesopotamia, and Salonica. In the centre of the temple is a square granite block with a central column. The western face of the block has the details of the purpose of the memorial and the occasion of its opening. The names of those servicemen and women who served in the Great War and of those who died have been inscribed on the other three faces. 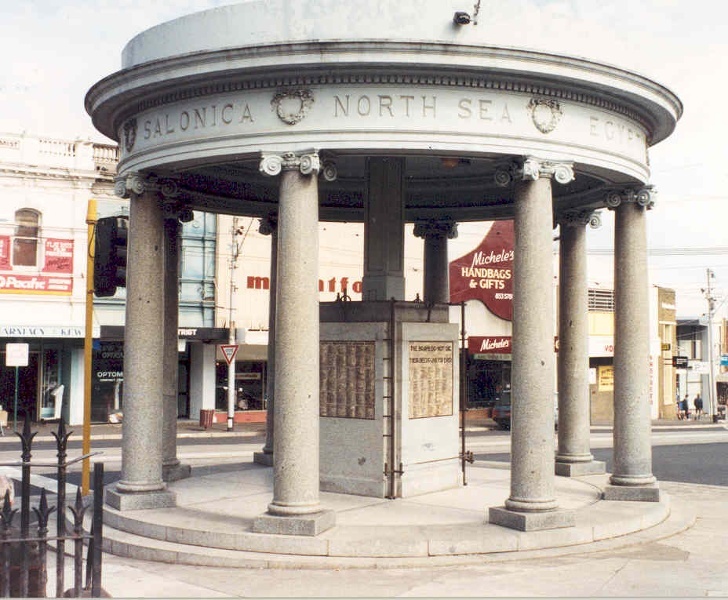 The memorial was planned from June 1919 when the Kew Municipal Council appointed a sub-committee to consider a suitable design. Steps were taken to secure land in front of the Post Office for erection of the War Memorial. The Mayor Cr H. W. Tompkins, also an architect submitted a design for the proposed Memorial, and it was decided that an estimate of the cost be obtained. In August 1920, the land in front of the Post Office was transferred to the Council. 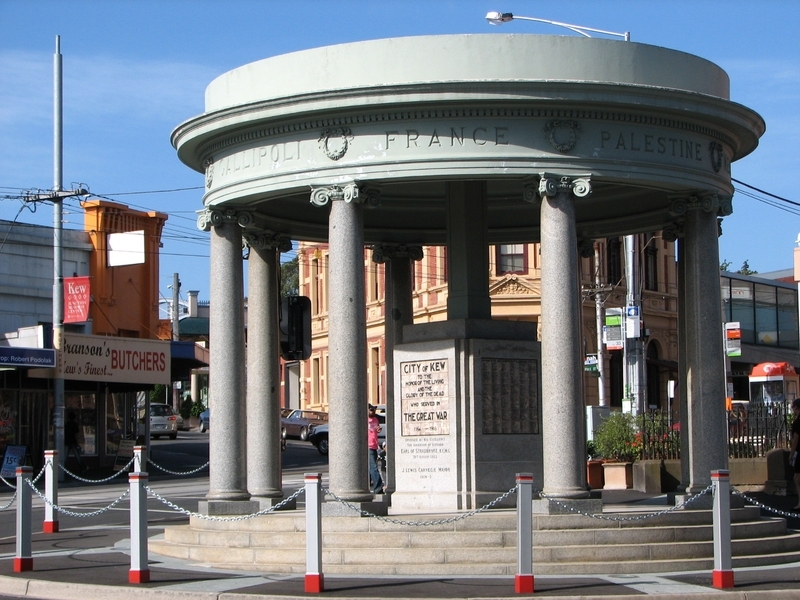 The Jubilee Fountain on the site was moved to the Alexandra Gardens and a large Moreton Bay fig tree which had been surrounded by seats for the public was removed to make way for the Memorial, despite local protests. 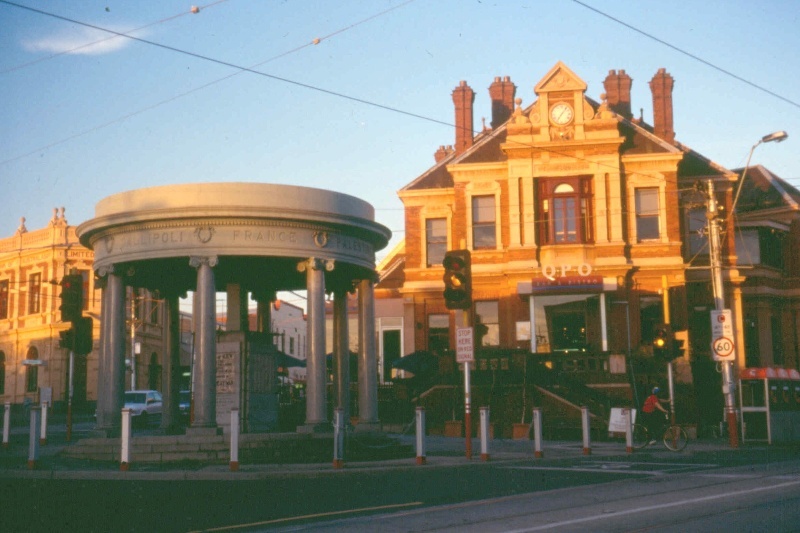 It was decided to hold a competition for the design of the War Memorial. The estimated cost was not to be more than £3500. Prizes offered were £50, £15 and £10, with the proviso that the Council was not bound to accept any design. The results were announced in July 1921: the first prize was won by F. Bruce Kemp, the second prize by Stephenson and Meldrum. 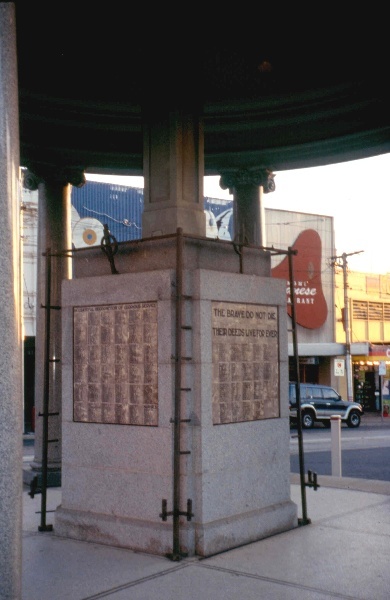 Although Mr Kemp was commissioned by the Council to prepare working drawings, specifications and detail drawings suitable for calling tenders for construction, the Council later decided to reject the Kemp design and to construct the Memorial according to the original design of the former Mayor, H.W. Tompkins. Mr Tompkins had since resigned form the Council and who offered to supervise the construction without fee. 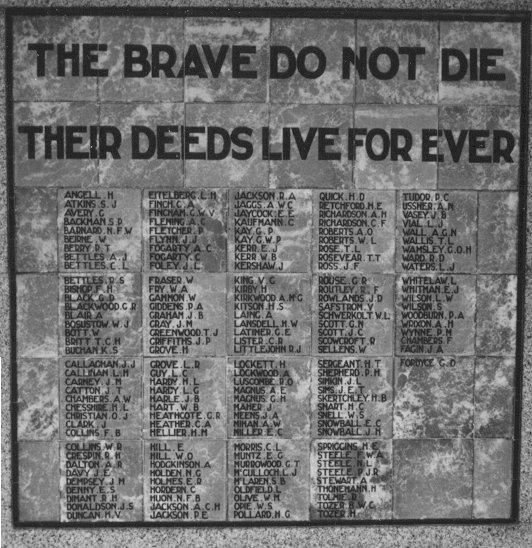 After the Second World War, George Allen was commissioned to complete a Civic Memorial in the form of a sculptured panel symbolising the sacrifice of those who served. It was incorporated into the new City Hall building completed in 1960.